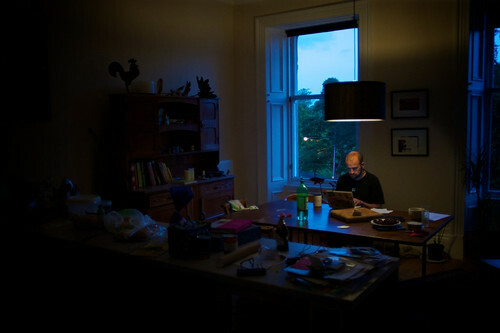 Martyn Clark organised and recorded a collaborative album of improvised music with me and 10 other artistes in his living room in (roughly) 48 hours. Megan and Stephen Appleton drove around the south-eastern coast of Angus for an evening, including an excitable encounter with flying puffins. Two very different experiences with my hosts so far, one of them planned (only a little) ahead, the other a spontaneous end to a wet day in the summer holidays. But this is the reason I’m out on the road – to help people do the things they want to do but somehow haven’t quite done yet. To give people an excuse to do something a little out of the ordinary, or a *lot* out of the ordinary – it’s up to them. It’s up to you. Let me know if you’ve got something that my presence would let you do or even if you suspect there maybe something waiting to be drawn out.